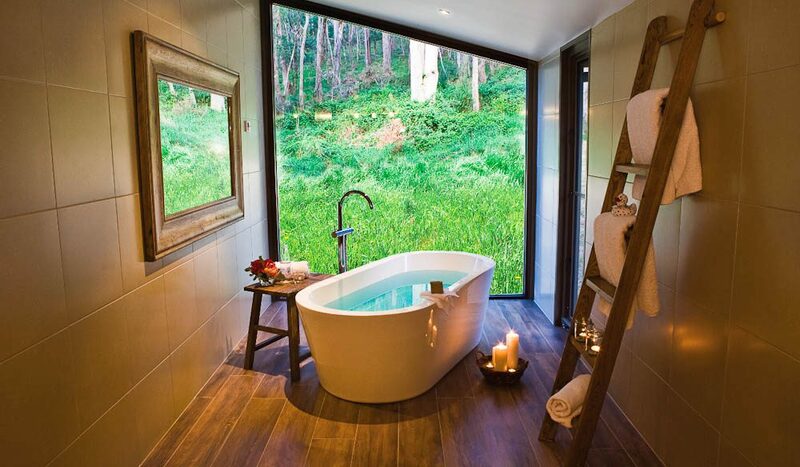 The Buckland: High Country views from your cosy bath. 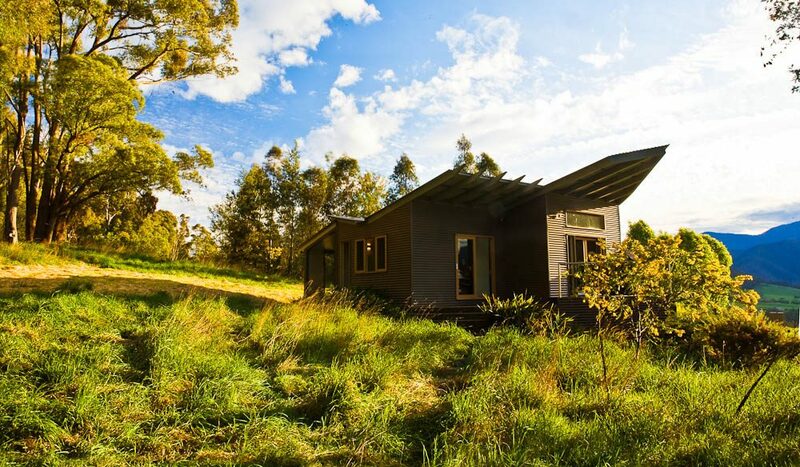 Need to flee Melbourne for a great outdoors fix with a luxurious twist? Megan Arkinstall checks out four Victorian luxe-bush stays reasonably close to the city. There aren’t many luxe accommodation spots that can boast of a location within metres of three national parks, but glamping bush retreat Pebble Point is one of them. Five safari tents are snuggled between Great Otway National Park, Port Campbell National Park and Otway Forest Park, behind the cliffs of the Great Ocean Road. Hike the Great Ocean Walk, head to a local beach, eat and drink your way along the Otway Harvest Trail (otwayharvesttrail.org.au) or sit with a book to the soundtrack of the Southern Ocean. From $140 per night; kids welcome (although more suitable to adults). 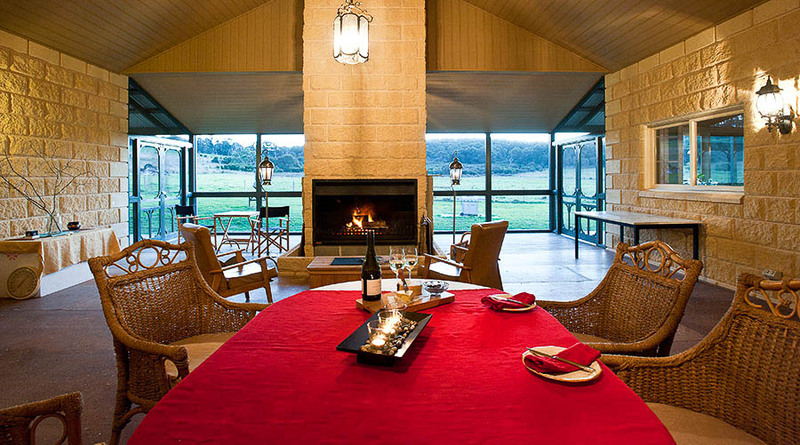 If it’s a blissfully gourmet weekend in some of the state’s most beautiful rural surrounds you’re after, stop looking. This modern, boutique, grown-ups-only B&B – in Victoria’s picturesque High Country – is a truly special little spot, and not just because of the gorgeous country views. Double rain shower-heads, forest views, soaking tubs, L’Occitane toiletries and utter privacy – just what the honeymoon gods ordered. If you can drag yourself to town, hatted restaurant Simone’s is just nearby. From $280 per night, minimum two-night stay; not suitable for kids. 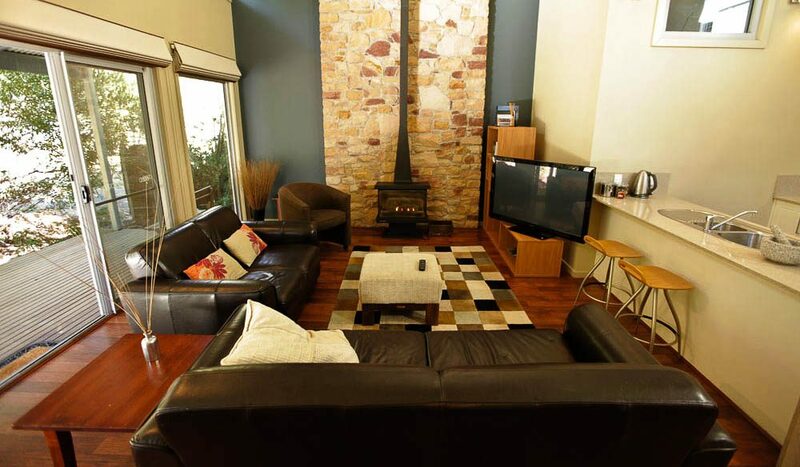 ‘At The Gap’ – a lovely, modern apartment boasting a king-sized bed with pillow menu, double shower, two-person spa and magnificent views of the Grampians from every window – is an ideal base to explore some of Australia’s most beautiful rock art, just a few minutes up the road at Grampians National Park. Gariwerd (the area’s indigenous name) is a spiritual place central to the dreaming of the Djab Wurrung and Jardwadjali people, with art dating back as far as 22,000 years. The national park’s cultural centre, Brambuk, runs tours exploring the sites on Tuesdays and Thursdays, from $280 per person. At The Gap from $500 per couple for two-night, mid-week stay; not suitable for kids.